I wanted to share some new essential oil diffuser blends I have come to enjoy this fall. 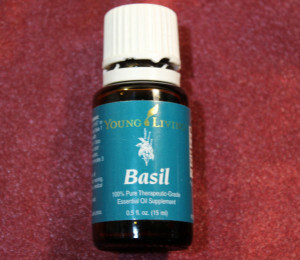 Most of the blends include Basil essential oil which has become a new favorite for me. Basil essential oil is used in traditional Asian Indian medicine. The name basil comes from the word “basileum” which is the Greek name for king. Uses for basil according to my pocket reference book are: help with migraines, combat throat-lung infections and insect bites. The fragrance is also know to fight mental fatigue – promoting energy, alertness and good decision making. Both of these combinations smell good and seem to give me energy to get things done, which I can always use. 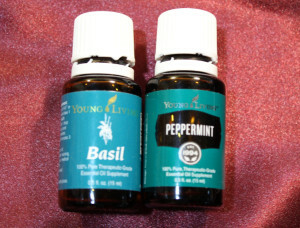 Basil, Cinnamon Bark and Lime is another pleasant combination. 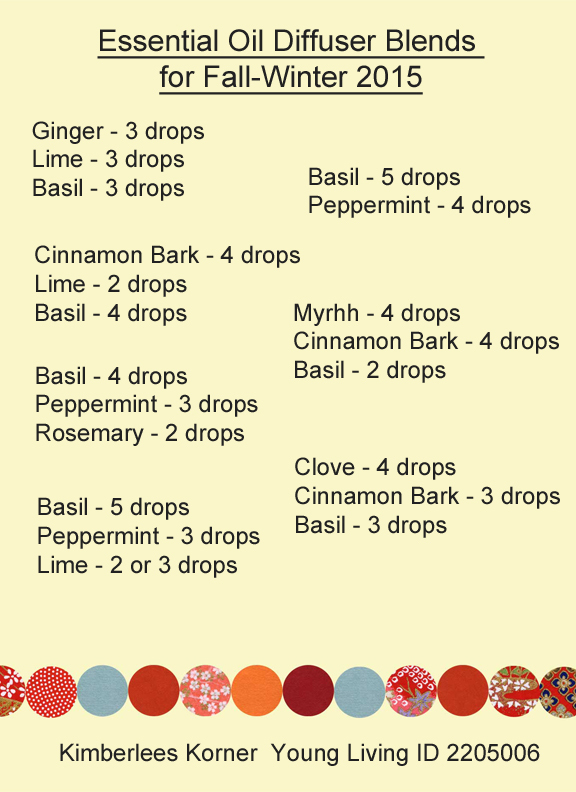 So far I have only tried Basil essential oil and these combinations in the diffuser. It seems that Basil oil when applied topically with a carrier oil, like jojoba oil, would be good for colds or congestion. According to some information in my Aromathreapy 101 book Basil is a good oil to aid with respiratory illnesses and muscle spasms in the chest area, especially when used with Eucalyptus oil. 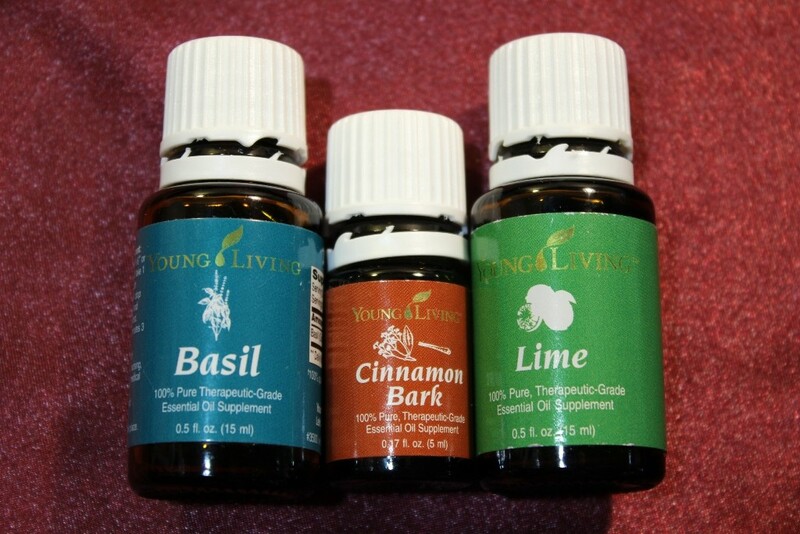 I use Young Living essential oils. Please contact me using the form below if you would like more information about Young Living and how to use their essential oils. What are some of your favorite essential oil combinations in the diffuser? Leave me a comment and let me know.